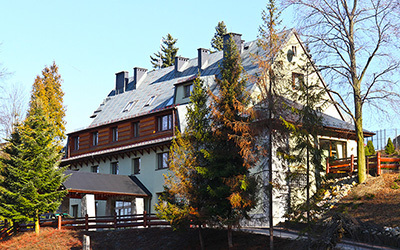 About us The Green Hill Center is situated in one of the most beautiful valleys on the territory of Wisła, Dziechcinka (800 meters from the center of Wisła). Out of the windows of our Center, a view of the adjacent mountain range and the forest can be enjoyed. This is the perfect venue both for the aficionados of tourism and business customers, searching for a peaceful place for work and rest, alike. At the disposal of the facility, there are 23 comfortable rooms, including the De Luxe and also the Studio rooms, all of which are decorated with the use of warm colours. 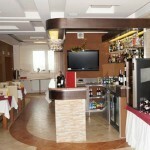 All the rooms are provided with a wireless access to the Internet. At the Green Hill Center, there is also a two-storey barbecue cottage adjacent to the hotel, in which folk feasts with the music performed by a highlander-style music ensemble are organized. 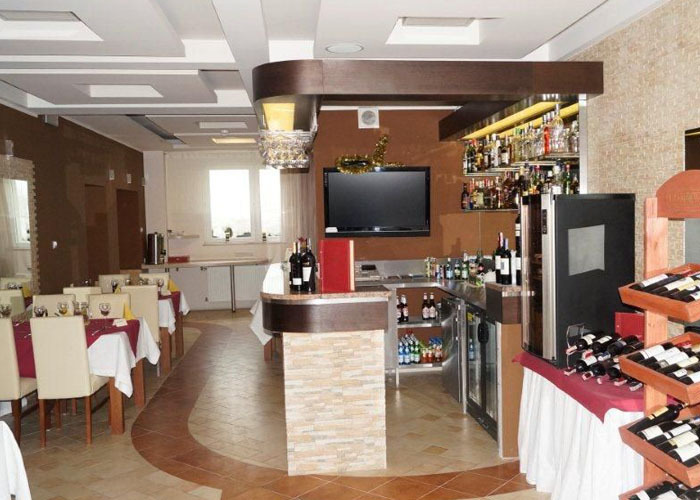 We offer you a high standard, the unchanging foundation of which is ambience, nothing short of the one you may enjoy at your own homes, whereas the highest-quality services are provided with dedication and in accordance to the wishes of our Guests. The Green Hill Center has at disposal 23 spacious rooms, including 20 double-bed rooms, 2 De Luxe rooms and also the Studio type room. Every room is characterized by its functional qualities and cozy ambience, which will make it meet the expectations of the most demanding guests. The hotel day is commenced at 2:00 p.m. and ends at 12:00 p.m. on the following day. In case of cancelling a reservation, the deposit shall not be returned. 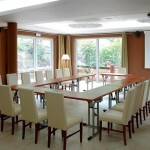 The Green Hill Center has at disposal a spacious and light conference-banquet hall. 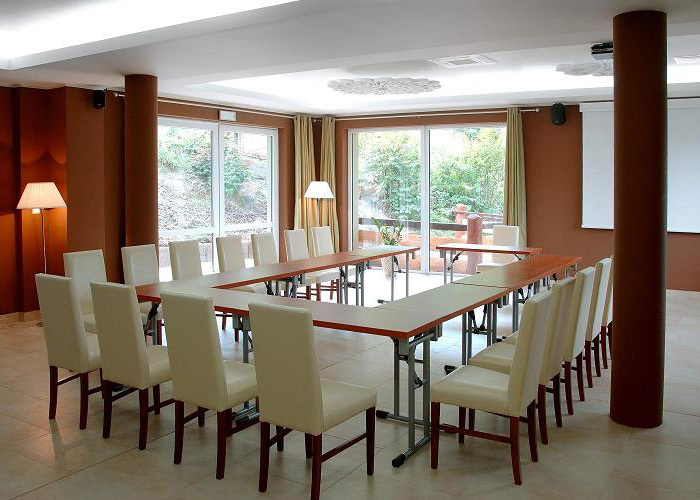 This is a perfect venue for conducting training events, conferences, presentations, team-building events and also for occasional receptions.